SABRA IS GIVING HUMMUS A BAD NAME! What's going on with Sabra Hummus? It seems we didn't have time to forget about their last health problems and we're already bombarded with a new one. The problem isn't just with one companies hummus - the problem is that Sabra - co owned by Pepsi is perhaps the largest supermarket distributor of Hummus. They are everywhere. They are literally the face of Hummus in the US. As news keeps coming out about their products being dangerous to human consumption for various diseases - it will slowly create an illusion as if Hummus itself is dangerous and perhaps that will hurt the entire image of hummus as being something healthy. I think it's really sad Sabra is having so much troubles that will hurt not just supermarket hummus - but hummus in general. People will ask more questions about why Hummus keeps getting all these sicknesses. I hope the people at Pepsi and Sabra aren't thinking to themselves lets just pump Sabra Hummus with more preservatives that will kill what's left of healthy products in their Hummus cause that's not the solution. I have eaten at so many restaurants hummus with no preservatives that had no listeria. The solution is to have more quality control during manufacturing. I hope they fire top level executives cause it's obvious someone's not doing their job at that company. Every major news outlet has written about it - from foxnews to CNBC.COM - so everyone is hearing how dangerous Sabra Hummus is once again. A few friends travelling to India asked me about the best Hummus in Mumbai. It's been awhile since I've travelled to India so my Hummus knowledge of that continent is a bit rusty. Would love to get advice from anyone who's travelled lately there for the best kept secrets there as well as the more traditional and famous Hummus places you encountered during your travels. I don't trust Yelp and all the other large online sharing sites cause I've seen that even with my own reviews on these large websites - The negative reviews I've written on Yelp have been deleted without explanation. I've even seen one Middle Eastern restaurant that I myself have given negative reviews on Yelp - together with dozens of other people who gave it negative reviews - and one day Yelp cleaned it up and deleted the negative reviews. Their rating moved from bad to good. 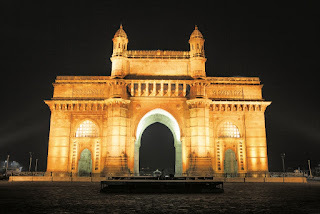 I Googled around looking for Hummus in Mumbai and found this blogger - who lived in Chicago and moved to Mumbai and is now travelling and writing about healthy living. She created a blog called the India Edition. She has published her articles also on Huffington Post Canada & UK, Vagabomb and India Food Network. Unlike some other blogs which feel like they were created as an advertisement - this one looks like the real deal promoting real good food that the blogger truly loved. Thank you Danya for your honest blog. Hummus is one of my favorite snacks – you can make or buy it and keep it in the fridge for a day or two for easy access. It is filling and nutrient-rich and naturally vegan and gluten-free. Make it even healthier by eating it with fresh veggies like carrots, cucumbers and peppers. 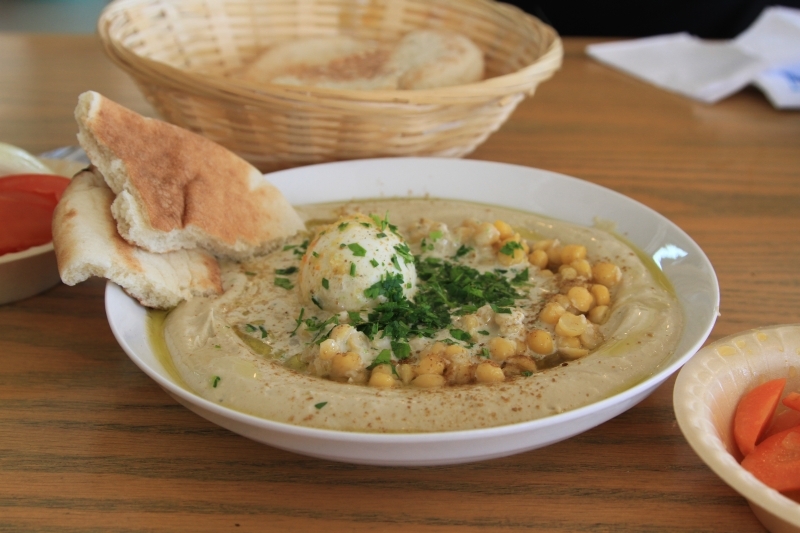 There’s something about restaurant hummus – it just tastes better. It took me a while to figure it out but I think I cracked the code! This one is the easiest for a quick lunch or snack – their hummus is always the same which is something I appreciate. Standard is key! They have several locations: at Cuffe Parade (the original restaurant but I haven’t been in years), Kemps Corner (a small cafe in Crosswords) and at Palladium Mall. This is my go-to home delivery order on a lazy Sunday evening or weeknight. Their hummus is super creamy from the tahini! The only fine dining spot on my hummus list, Souk is located on the top floor of the Taj Mahal Palace Hotel. They serve a more authentic range of Middle Eastern food – my favorite dish there is definitely the zucchini and aubergine fritters. The view is lovely as well. A really interesting article by Joy Manning in Shape Magazine. What I found especially interesting in the article was the image of the variations in Hummus preparation. ENJOY!